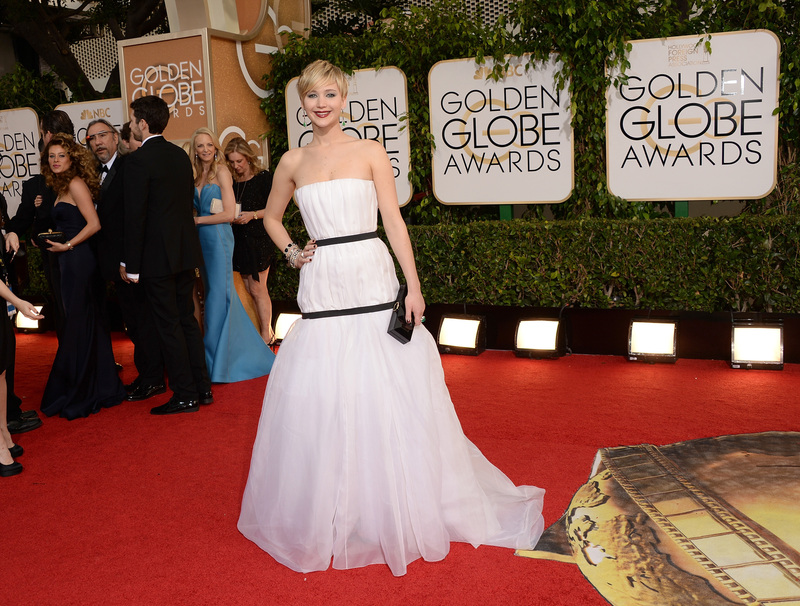 It is no surprise that Jennifer Lawrence won the 2014 Best Supporting Actress Golden Globe for her role in American Hustle. She has long been predicted to dominate the category, and her second Globe win was well-earned with her crazed portrayal of Rosalyn Rosenfeld. Her speech was adorably nervous, including quotes like, "I don't know why I'm so scared, I'm sorry!" and many heartfelt thank-yous. J Law, you have no reason to be terrified, because we all love you. Julia Roberts was the picture of a graceful loser, and probably understood that Lawrence is continuing a tradition she started: imperfect but lovable sweethearts who seem both down-to-earth and ethereally beautiful. Aside from Roberts, though, there were not many favorites for best supporting actress. Scarlett Johansson would have been a contender for Lawrence's spot, but her killer voice performance in Her was disqualified due to a Globes prejudice against voice actors. Lawrence may never be nominated for an award for her performances as Katniss Everdeen, but her savvy acting choices outside the Hunger Games have been awards favorites in the last two awards seasons. Let's see if she will continue her reign in next year's slew of J Law films.